It's that time again when we get together to celebrate excellence in direct marketing. The NZ Direct Marketing Awards are the only awards that recognise clients, agencies, consultancies and suppliers who have exhibited excellence in insight-driven direct marketing projects and campaigns, connected with customers on an individual basis, and generated outstanding results. Congratulations to our clients below - See you there! We are super excited to announce Mailshop has placed first in two categories at the 7th Annual Fuji Xerox PIXI Awards. Winning both the 'Gold and Silver Print' Award and the 'Self Promotion' Award for Mailshop collateral; designed in-house by our creative team. Using a variety of stock and experimenting with our gold and silver inks we have created collateral that is informative and inspiring for our clients. Perfect to refer to when in the creative process whether it be for a standard mailing or a standout piece. Our previous and first win in 2012 was for the below self promotion Multi-piece Production Award designed by Andrew Gair. The annual PIXI awards recognise innovation and excellence in digital printing using Fuji Xerox solutions. With more than 250 entries in 2016, the 40 winning entries hailed from New Zealand, Australia, Thailand, Hong Kong, Taiwan, China, Malaysia and Japan. Mailshop Fulfilment - Crazy about Clever Kash! Over the last month we have had the privilege of preparing and dispatching these cuties for their new homes all over New Zealand. Here’s how our dream team of specialised data, print and production staff did it! Oxfam Trailwalker DM - A great use of the Adcard! On March 25-26 in Whakatāne teams of four will challenge themselves and poverty by walking or running 100km or 50km together while fundraising to help save and improve lives! OXFAM has taken advantage of the NZ Post Adcard rate benefits with a creative four fold postcard to get the message across. 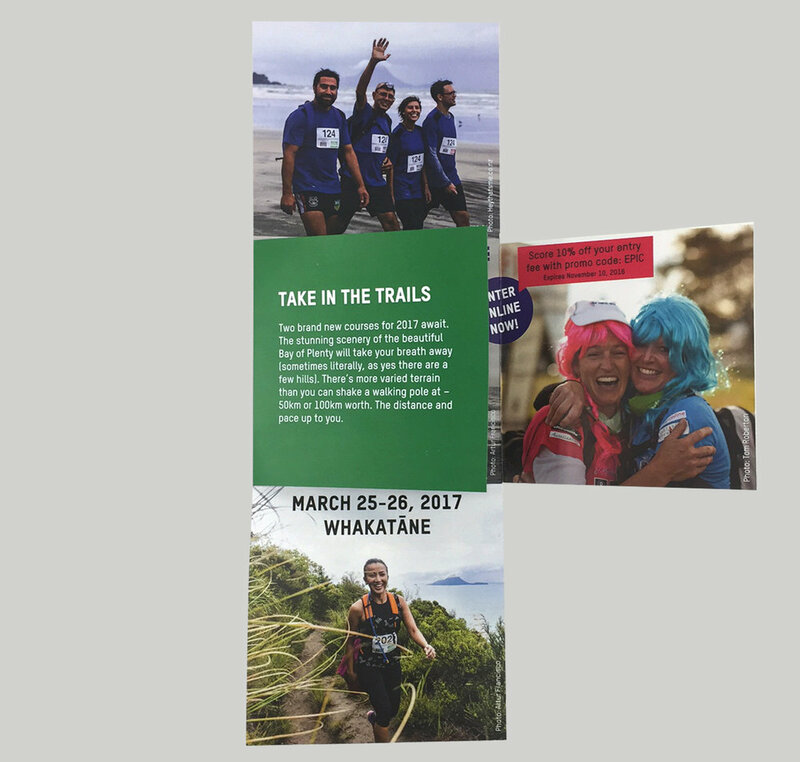 The Adcard was introduced by NZ Post to promote the postcard - an eye catching effective mailer that your customers or supporters will take inside from their letterboxes as a reminder of an upcoming sale or in this case a worthy cause! Sending over 5000 records? Adcard rates start at 32 cents excluding GST per record. Click here to view the full rates and details or give us a call to discuss how you can effectively use Adcard. 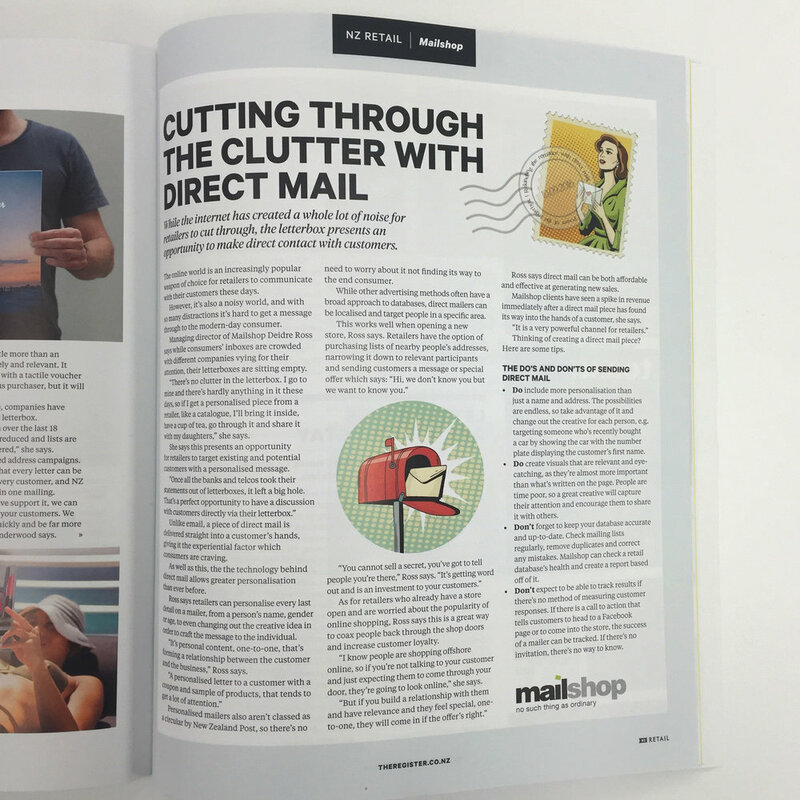 Cutting through the clutter with Direct Mail! 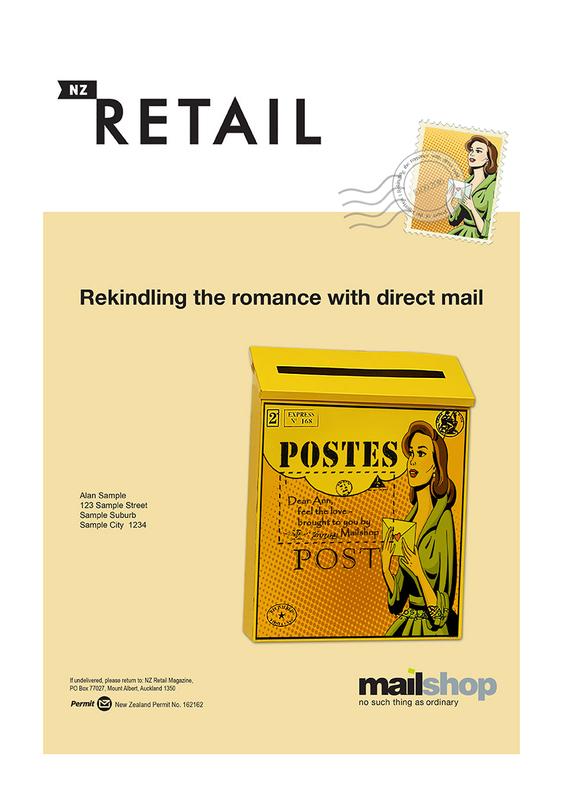 Pick up the latest NZ Retail Magazine for an in-depth look into new trends in direct mail and why more and more retailers are heading back to the letterbox! As well as other leading industry experts Mailshop's MD Deidre Ross shares some helpful insights.